CONGRATULATIONS TO ROYAL ASTRONOMICAL SOCIETY PRIZE LAUREATE (a.k.a. KÉLIG AUJOGUE)! problem, and developing entirely new ones. See full details here. Applications closes on 19th July 2017. 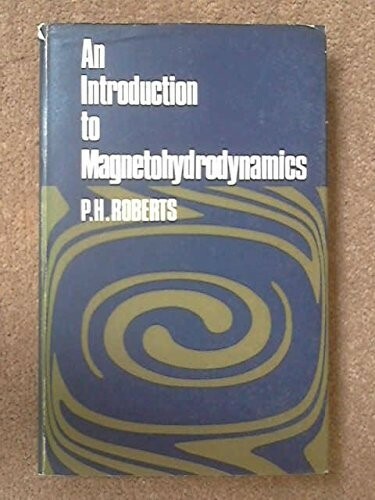 To celebrate the 50th anniversary of the publication of the seminal work “An Introduction to Magnetohydrodynamics” (Longman’s, 1967) by P.H. Roberts, there will be a 2 day conference in London.This conference will take place at the Royal Astronomical Society, Piccadilly, London on 16-17 November, 2017. The honoured guest will be Paul Roberts FRS, who will also speak. There will be a series of invited talks. of registration waivers available. Please write to A Jackson with a short case for support by 11 August. Poster submissions are requested (limited in number due to space), on all topics concerned with fluid dynamics and MHD. These can be submitted at the same time as registration. The meeting is organised with the support of the Royal Astronomical Society. The international Conference on Magneto-Science 2017 (ICMS 2017) will be held on October 23- 27, 2017, Reims, France. First conference on Magneto-Science was held in 2005 (Yokohama). Others relating to magnetics and magnetic fields. The registration fee (early registration – Full participants : 600 EUR – Students : 400 EUR) includes all conference sessions, congress materials, and include welcome cocktail, banquet and excursion to Epernay and cellars. Congratulations to Kélig Aujogue, Royal Astronomical Society, Patricia Tomkins Prize winner!The prize for the best thesis in instrumentation science for astronomy and geophysics is awarded to Dr Kélig Aujogue, for the thesis entitled ‘Little Earth Experiment: A Journey toward the Earth’s Tangent Cylinder’. techniques for flow analysis to geophysics. not later than 16 of October, 2016.